“ROSGLAVPIVO”, the Best Russian Beer is a co-project of Barley, Malt, Hops and Beer Union and Private Brauereien Deutschland e.V., an organizer of one of the most prestigious world competitions “European Beer Star”, with the support of the Ministry of Agriculture of the RF, Federal Ministry of Agriculture and Food in Germany and the Czech Republic. Every commercially-operated brewery, which is properly registered according to respective national law, including micro- and mini-plants («craft breweries»), is entitled to participate. Experimental breweries of universities, schools and institutes, as well as experimental breweries of brewing plants and raw material suppliers, are not allowed to participate. The participating brewery must itself manufacture the beer registered for the competition and market it under its own name. There are three winners in each category: “ROSGLAVPIVO-GOLD”, “ROSGLAVPIVO-SILVER”, “ROSGLAVPIVO-BRONZE”. Gold winners can take part in “ROSGLAVPIVO – Consumer’s choice” and get sponsors’ prizes, medals and diplomas. 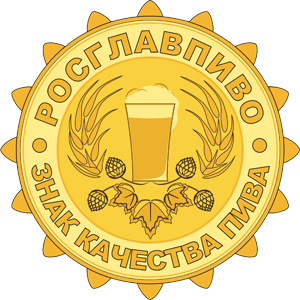 A brewing producer, whose beer is the best according to all characteristics, in view of all beer categories, has a right to receive “Rosglavpivo – Double Gold” medal. 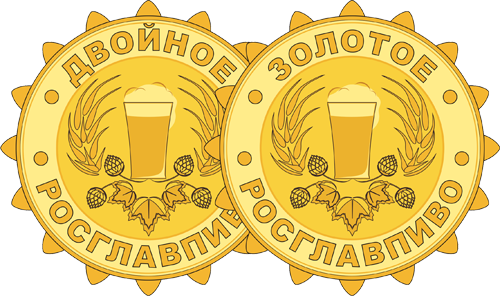 A brewing producer, who has five or more gold medals, can get a medal “Rosglavpivo – Beer Quality Mark” and place the logo on the sticker. Gold winners have a right to participate in the seminar “European brewing traditions” (Czechia – Germany, including Oktoberfest, September 2019) at 50% discount. The prizes shall be awarded in the year of participation in the competition on a regular basis at BevialeMoscow Trade Fair in Moscow, or at another location determined by the organizer. Also winners get certificates and diplomas “Best by profession” from the Ministry of Agriculture of the RF, medals and sponsors’ gifts.